Frankfurt am Main, 27 November 2018 − Principal Real Estate Europe (Prin RE), formerly Internos Global Investors, acting as asset and transaction manager and PAREF GESTION, fund manager of the SCPI NOVAPIERRE ALLEMAGNE have acquired a retail property in Lüdinghausen, southwest of Munster. The vendor is a private investor. The parties agreed not to disclose the purchase price. 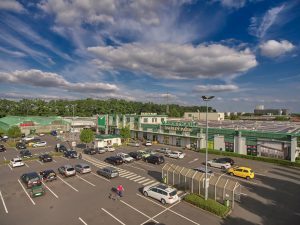 The property is the “Darley Park”, a superstore with beverage store and associated DIY and garden centre, that stands on an around 32,000 square metre site at Hans-Böckler-Strasse 2-8. Marktkauf and toom occupy the fully-let property, which has a lettable area of around 12,900 square metres and 480 parking spaces. Completed in 2006, the asset is situated in a commercial area near the town centre. Jones Lang LaSalle SE acted as broker on behalf of the vendor. Law firm GSK STOCKMANN advised the buyer on legal issues and Duff & Phelps REAG GmbH on technical matters. Principal Real Estate Europe is part of Principal Financial Group’s dedicated real estate business, Principal Real Estate Investors, which manages or sub-advises $74.5 billion1 in real estate assets globally. 1As of September 30, 2018. Principal Global Investors2 is a diversified asset management organization and a member of the Principal Financial Group®, with expertise in equities, fixed income and real estate investments, as well as specialized overlay and advisory services. Principal Global Investors manages $447.5 billion in assets primarily for retirement plans and other institutional clients. 2 Principal Global Investors leads global asset management at Principal® and includes the asset management operations of the following members of Principal®: Principal Global Investors, LLC; Principal Real Estate Investors, LLC; Principal Real Estate Europe Limited and its affiliates; Spectrum Asset Management, Inc.; Post Advisory Group, LLC; Columbus Circle Investors; Morley Capital Management Inc.; Finisterre Capital, LLP; Origin Asset Management, LLP; Principal Global Investors (Europe) Limited; Principal Global Investors (Singapore) Ltd.; Principal Global Investors (Australia) Ltd.; Principal Global Investors (Japan) Ltd.; Principal Global Investors (Hong Kong) Ltd., and include assets where we provide model portfolios. Marketing assets under management include certain assets that are managed by Principal International and Retirement and Income Solutions divisions of Principal.